A Home Loan is a substantial investment. It needs a long-term commitment to repay the loan. As one grows older, the responsibilities increase such as funding for children’s education, medical expenses of parents, and so on. Under such circumstances, homeowners do not usually have enough funds for home improvement. Now, your homes need renovation like repairs to the leaking roof, painting of interiors and exteriors, and so on. The best way to upgrade your home is to go for a Home Improvement Loan. Here are some tips to improve your chances of approval of the Home Improvement Loan. 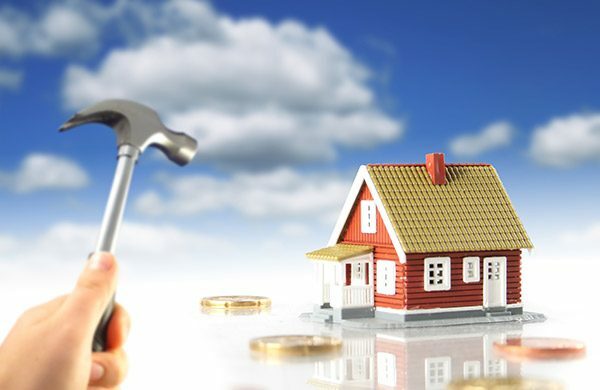 The heartening aspect of Home Improvement Loans is that the eligibility criteria are the similar to that of Home Loans. Hence, it should not be difficult for you to check out the eligibility. The first thing you should do is to order your credit report and check it thoroughly. The Home Improvement Loan requires you to extend the equitable mortgage of the house to include the new facility as well. Hence, you should have the valuation report of the house on hand. Remember, that the loan to value ratio in case of a Home Improvement Loan will not be less than 75% in any case. Determine your eligibility before researching the lenders. If you already have an outstanding Home Loan, it is better to approach your existing bank. They have your repayment track record and hence can process your Home Improvement Loan faster. Naturally, you need to have a good credit score. Banks consider credit scores above 600 as acceptable for Home Loans and Home Improvement Loans. In case you wish to change lenders, you might have to Apply for the Home Loan Balance Transfer facility first. It is a long process. Therefore, it is always better to approach your existing lender. If you are applying for a fresh Home Improvement Loan, it is possible as banks have products to suit your requirements. Your credit score is critical while applying for any loan facility. Banks and lenders obtain your credit history from the credit bureaus to check out your repayment record. The credit score eligibility factor differs from loan to loan. It is in the range of 750 and above for the unsecured loans like Personal Loans and Credit Cards. In case of secured loans, banks accept credit scores in the range of 600 to 650 as well. Take steps to improve your credit score. Check out your report for any errors. Take the steps needed to improve the credit rating. On improving your credit score, you can proceed with your home improvement plans. Applying for multiple loans at the same time is a common mistake. It sets back their credit score by a great deal. It is advisable to wait for 6 months between two loans. It also allows you to establish a clear repayment pattern. Applying for various loans frequently sends the wrong signals. Banks view such borrowers as risky customers. It decreases your chances of approval of the Home Improvement Loan. If you already have a home loan outstanding and wish to go ahead with the same lender, you need not submit your KYC documents. Otherwise, be ready with the regular KYC documents like Passport, Aadhar card, PAN Card, Registered rent agreement, ration card, and so on. You have to submit your latest income documents in either case. Your loan eligibility depends a lot on the latest income papers. Having these documents ready with you can speed up the process considerably. In case your income is not sufficient to get you a home improvement loan, try to include a co-signer. The co-applicant can be your working spouse, parents, or earning children. Including their income can improve your overall eligibility. Banks are reluctant to accept siblings or other persons not connected with the property as co-applicants. Your home improvement loan will increase your liability. You have to pay these EMIs (Equated Monthly Instalments) in addition to your regularHome Loan EMIs. Hence, a stable income plays a useful role in securing the Home Improvement Loan. Ensure that your take-home pay does not reduce below 50% of your gross monthly income. You will find difficulty in repaying both the loans. Remember, that you have to create an additional equitable mortgage to include your Home Improvement Loan and your existing loan. The default of any installments, in either case, can create problems for your house. Hence, ensure to repay the instalments on time every month. It improves your credit rating as well.